Many individuals and small businesses have profited from establishing online stores to sell their products to a larger market. With a variety of free and inexpensive tools available many take on the task of creating online stores themselves. Using these tools can make the process easier, faster and more cost effective than ever before. However, as with most free internet tools there are some potential drawbacks to going at it alone. Here are a couple of disadvantage of not hiring professional help. When using an ecommerce site builder you will have limited design templates to choose from. If many other businesses are using the same template your stores may look identical to others making it harder to stand out. Though you may not need a completely custom designed site, having a designer on hand can help to make sure your online image and branding materials are displayed in the best way possible. Their expertise can also help you find ways to differentiate your site while still using a template. When conducting business over the web you are trusted with a lot of your customers personal information. Ensuring the safety of that information has to be your first priority. The last thing you want is to put your customers information at risk by not having the proper security measures in place. While there are services to assist with processing payments securely it’s worth it to consult with somebody experienced in ecommerce to ensure all security measures are taken. 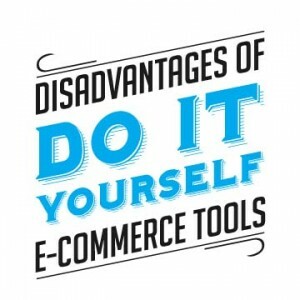 Working with free tools makes it easy to add ecommerce features to your existing website. However, to be sure that everything works well together at least a little programming know-how can make a big difference. If things are not coded correctly it could disrupt the user experience on your site. This could potentially hurt potential sales if customers leave your site out of frustration and even greatly affect your overall reputation. Most times when you hire a professional to design an ecommerce site they can provide some help with SEO. They can ensure you are using some of the recommended best practices, including design elements, keyword research and proper tagging. Their insight could also potentially help you get more local listings and other techniques that could greatly boost your ranking.